We sometimes have websites we have previously developed come available to us, that potentially can be purchased quite inexpensively, and sometimes at significantly less than it would cost to develop a similar website from scratch. Depending on the circumstances, these can be currently trading going concerns, sites where for some reason the owner has had to stop their business, or even sites where the person contracting us to build the site has not been able to proceed with their venture. In each instance however, all the sites listed below are good quality sites, ready to be launched and potentially only requiring a re-branding or quick design update to get started. Here are some of the sites that are currently available, and if you would like to know more, please contact our Managing Director, Greg Poulson, by email at enquiries@freetimers.com, or by telephone on 01604 638421. Be certain, you will get an excellent deal for any of these sites! This site is currently offline, but was previously a viable business arranging holiday villa/apartment lettings worldwide. It has a large worldwide database of previous villa owners, most of whom will probably still be current, and a complex and first rate online admin system to manage properties and letting bookings. Our understanding is the previous owner relied on existing connections and offline advertising to get new subscribers and site visitors, but never undertook any significant SEO or web marketing. The site would probably need a slight design facelift, but otherwise is good to go. Would be suitable probably for a holiday trade professional or a keen lay person, interested in holidays and travel and with some energy behind them. Price by negotiation and on application. This is a really beautiful, ecommerce-ready high-fashion retail site, with a right up to date quality design and excellent branding. Its focus is on ladies’ high and designer fashion, in the bridal, special occasion, evening and cocktail dresses area, selling lots of high quality brands. It could very easily be re-named and branded and would be very quick to make live. The pity with this site is that it was all ready to go live but never did so; we have it available to see on our preview server for anyone interested. The price would be limited to the costs of the re-branding exercise, and potentially re-enabling some of the functionality the previous owner had asked us to temporarily remove. Contact us to see the site and discuss the opportunity. This was a very successful website and had been turning over a significant sum on Ebay (circa £20k per month). For personal reasons the previous owner had to shut the business down, however it could be readily re-launched and re-branded, at a fraction of the cost of the original development. The website’s admin system was also fully integrated with a very successful EBay shop (and also with Google Shopping) which allowed pricing flexibility for each channel linked to a common inventory management, which is much better than that provided by most of the Ebay shop systems available or that provided through Magento. The Ebay management alone allowed our client to quintuple the number of products he could manage on Ebay and the website for the same amount of labour time. 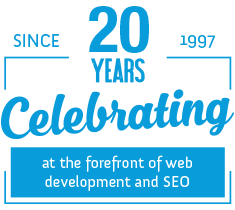 Our SEO was also delivering in excess of 70,000 visitors per month to the site. This opportunity would be suitable for an existing DVDs business or for an enthusiast serious about getting into the business. To make the site live would in the minimum require a re-branding, plus the re-establishment of the Ebay shop. Stock is also important for this business, so the new owner would need to already have stock available, or would need to invest in stock so orders could be handled quickly and efficiently (absolutely essential, particularly for Ebay). A new domain name would be required. Please phone to discuss. This site is a live business with around a thousand current subscribers. Interested parties could acquire the business as a going concern, purchase the website and its subscriber list for re-branding and re-launch, or could purchase a copy of the site without the current customer base, for re-branding and re-launch. Would suit someone very interested in the online dating business, who is able to put some energy into it as well as invest in online SEO/marketing. Please contact us in the first instance. Speak to Greg Poulson on 01604 638421. Seems such a shame to have such a major development go unused. Please contact Greg on 01604 638421 for an initial discussion. A site that has never officially gone live, the previous owner has decided not to follow through with the online business. This site is 98% ready to go live, and could be very easily re-branded and given a quick design update. Otherwise, it has a very sophisticated online product management facility, that would allow for blinds to be sold online with all the options and accessories available, unlike most of the websites in this sector. For the right owner this is a site we could help them take to the top levels in this sector, and its sophisticated product management would provide a serious competitive advantage. Phone us please to find out more.